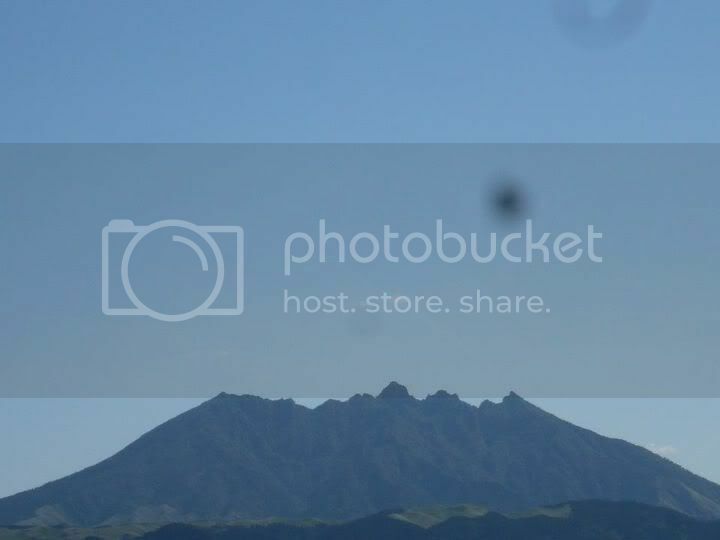 A friend in Aso sent us this photo of a faintly visible rocket contrail over Neko peak (super-big photo here) of Mt. Aso. The contrail of the H2A rocket is barely visible rising diagonally from the right, crossing the small cloud hovering over the peak's middle "tooth." Like all H2As, the rocket was launched from the Tanegashima Space Center, on Kagoshima's island of — wait for it — Tanegashima [in Japanese, but lots of nice pics].